Bigg Boss season 12 has showered us with massive fights and incessant yelling if not anything else, don’t you agree? Every day someone or the other takes a dig at someone. Things initially turn ugly and eventually bitter. This season has seen some tussles that have had contestants get abusive and physically aggressive too. Also, for some reason, Bigg Boss tasks this season are either sexist or compel people to turn physical. Every day some or the other contestant is walking around hurt or crying. Last night was all about contestants missing Sreesanth and crying. Just when it got mundane, the captaincy task between Saba and Srishty turned ugly to a whole new level. In case you missed out on why the captaincy task was stopped midway and why Saba and Srishty were told that they can never contest for captaincy again, we have the highlights for you. Here are some thoughts I had while watching episode 25 of Bigg Boss season 12. Read on! 1. Everyone is missing Sreesanth. They’re all crying. I somehow don’t. 2. Jasleen thinks that Surbhi and the Khan sisters are fake. I agree. 3. Deepak has made a song for Sreesanth. That’s so sweet. 4. Pretty Woman! Nice pick for an alarm. 5. No one danced today. Looks like they’re really upset. Are they? 6. Sreesanth is unhappy that Dipika voted him out. Guess he’s unable to take it. 7. Dipika feels that Sreesanth got evicted because of her. She’s crying. No, Dipika! 8. Sreesanth is so fickle minded. He kept on telling Dipika that he wants to go home. And now, he’s changed his statement. He’s such a loser. 9. Anup Ji feels that Dipika is a very sharp lady. His opinion doesn’t count. 10. 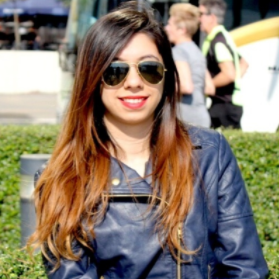 Jasleen doesn’t think that Sreesanth really wanted to go. Probably because they were never that close. 11. Jodis are cornering Nehha. How random? Why do these people keep digging graves? 12. Time for a new captain! Yay! Thank god! Romil and Surbhi are a pain. 13. It’s Saba v/s Srishty. Not that I want any one of them to win, but okay! 14. Both the contenders have to write their names on magnetic plates and stick them on a board. Whoever has the the maximum number of plates, will become the captain. 15. Dipika is the spectator for this task. Good pick, Bigg Boss! 16. Saba has written her name on so many plates. She got the plates from the contestants. Looks like they really want the Khan sisters to get a chance. 17. Srishty pulled Saba’s hair. This is getting violent. 18. Saba pushed Srishty too hard. And she’s fallen on the ground. WTF?! 19. Srishty has left the play area. She’s locked herself up in the washroom and is crying. Oh no! 20. Bigg Boss has stopped the captaincy task. What’ll happen now? 21. Contestants feel that Saba was being defensive. And Srishty is aggressive. They’ve made up their mind already. 22. 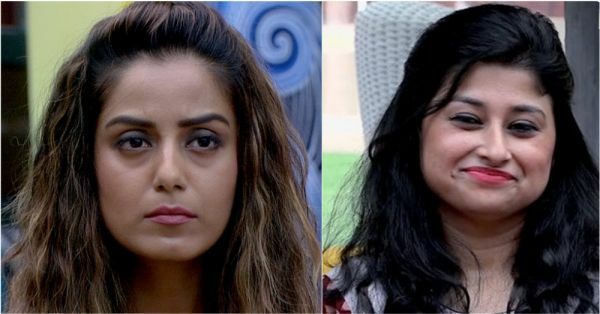 Bigg Boss holds both Saba and Srishty responsible for their violent act. Now, none of the two can ever become the captain of the house. Also, Romil and Surbhi will remain the captains for this week too. Could this get any worse? 23. Saba is devastated. I can understand. 24. Srishty is upset. She doesn’t want to participate in any activity anymore. 25. Sreesanth is development a strong aversion towards Dipika and Nehha. Who cares? !